Security gated & serenely situated 6.4 acre ranch. 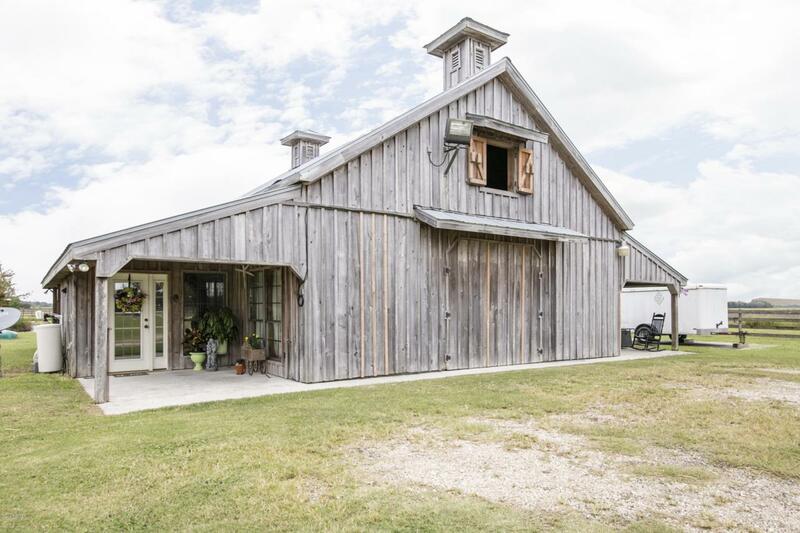 Located only minutes from the Hub City of Lafayette~ this 2 horse stall, cedar and cypress custom-built barn features peaceful views and unique living spaces. Horses will enjoy built-in automatic water feeders and fans inside 11.5 x 9.5 indoor stalls, with crossties near the tackroom. Living areas include a kitchen, den, 2 bedrooms, 2 full baths, laundry, hay loft/office, and balcony overlooking the 1 acre circulated pond. The mature bass and bream stocked pond features a covered, deck pier with a wet bar kitchen, perfect for BBQs, outdoor fishing, kayaking and entertaining. Property includes a RV slot and hookup, workshop, 3 equipment storage buildings, dog kennel, chicken coups, a fenced garden area, numerous mature Oak, Cypress, Pecanand Pine trees, wood duck houses, and an outdoor firepit are just a few highlights of this truly unique retreat! Additional land surrounds the secured, fully-fenced residence Perfect for the Equestrian, a family, corporate or spiritual retreat facility, a Barn Weddings, or Photography venue~ the versatility and enjoyment possibilities are endless!